The Crusades – is the truth now being shown? 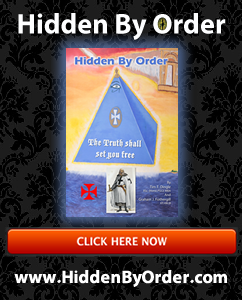 If you’ve read the book “Hidden By Order” you know more than 99% of the people around about the truth behind the Templars, and their involvements in the Crusades. It will be interesting to see whether the main researcher Dr Thomas Asbridge has read the material in Hidden By Order and been allowed to reveal some or all of the Templar Secrets, or if the conventional historical lines will be followed. The show’s promotion material promises new insights, and so it will be of interest to those who know the truth, and those enquiring to see what is shared. Dr Thomas Asbridge is an internationally renowned medieval historian and author of the critically acclaimed books The Crusades: The War for the Holy Land and The First Crusade: A New History. In the course of his research, he has travelled extensively across the Middle East and walked from Turkey to Jerusalem along the route of the First Crusade. Thomas studied for a BA in Ancient and Medieval History at Cardiff University, and then gained his PhD in Medieval History at Royal Holloway, University of London. He is now Reader in Medieval History at Queen Mary, University of London and director of the groundbreaking MA in Islam & the West. There is a new experience online called The Secret War that has been launched in Beta in synchronicity with the launch of Hidden By Order (the best seller). The game / experience allows people to see behind the curtain and hints at the powers / influence of three groups – The Templars, The Illuminati and The Dragon. : What is ‘The Secret War’ experience? A: It is an interactive online experience where you choose a secret society or take the personality test to determine which one you are suited for, and you are then brought into a web-based representation of the global conflict where you can expand your society’s influence in the world at the same time as you climb their ranks and unlock rewards such as in-game items, achievements, and even the coveted guaranteed beta access. Q: Is the full ‘The Secret War’ experience available now? A: No, the experience is being launched in two phases. The first phase launched on August 29th, 2011 and includes the new trailer video, the brand-new personality test, and the ability to choose a secret society and register with that society. This also functions as the official beta registration for ‘The Secret World’. Q: What will the second phase include? A: The second phase will include all the advanced features of the experience, such as the ability to recruit friends and make them agents for your cause, affect the influence of your secret society on an interactive world map, climb the ranks of your society by sharing screenshots and information about ‘The Secret World’ with your friends, unlocking exclusive in-game items such as weapons and clothing, and more. The experience will even feature new videos that the community must work together to unlock! Q: Is there any other way to register that does not require Facebook Connect? A: The second phase of the experience will rely heavily on social networking functionality such as the ability to recruit friends and turn them into agents. But if you only want to signup for the beta without taking part in the second phase of the Secret War, you can go tohttps://register.funcom.com/tsw_beta/ where Facebook is not required. Q: Do I need to participate in the second phase of ‘The Secret War’ experience to be eligible for beta testing the game? A: No, you do not need to participate in the second phase. Even though beta registration is tied into the first phase of the experience, you do not need to join us in the second phase should you not want to. Even when the second phase launches, those who just want to register for the beta can leave the experience after having chosen a secret society and left their details. One of the reasons why we have incorporated the beta registration into the experience is because we want everyone who wishes to beta test the game to learn more about it and be as involved in the community dynamics as possible. Q: I have already taken the original initiation test and I am already a ‘The Secret World’ community member. Do I have to register again to be eligible for beta access? A: No, you do not need to register again. All community members who have taken the previous initiation test have already been automatically registered as beta applicants. However we strongly encourage everyone who signed up previously to re-register, as this will allow you to take part in ‘The Secret War’ experience. Due to the way the experience is set up, we need everyone to re-register in order to gain access. We encourage everyone to use the same e-mail address as before, though it is not required. Q: Does participating in the second phase of ‘The Secret War’ experience increase my chances of getting into the beta? A: Yes. Those who reach the highest rank in experience automatically receive guaranteed beta access, and as such you have a higher chance of getting into the beta if you choose to participate in the experience. To us that is also a great way of getting the best testers into the beta experience, as anyone who reaches the highest rank is sure to be more than averagely interested in the game. Q: What does guaranteed beta access mean? A: Guaranteed beta access means that you are guaranteed to be invited into the beta at some point between now and the launch of the game. Guaranteed access does not guarantee early entry into the beta, it means you will get admission at one point. Q: I already have guaranteed beta access that I received though a previous Funcom campaign — is this still valid? A: Yes. Anyone who has ever acquired guaranteed access still has guaranteed access. This means that they will be invited into the beta at some point between now and launch. Q: I have just registered – when will I get into the beta for ‘The Secret World’? A: Keep in mind that due to the sheer volume of beta applications that Funcom receives, it is impossible to give everyone a chance to join before the game is launched. As such, it is not guaranteed that you will get into the beta. Keep in mind that beta testing is first and foremost a tool for the developers to make sure the game is stable, fun and enjoyable. Q: How long will the beta test run for? A: The beta test for ‘The Secret World’ is an ongoing process that will run all the way up to the launch of the game. Funcom will gradually introduce more testers into the beta as it progresses.